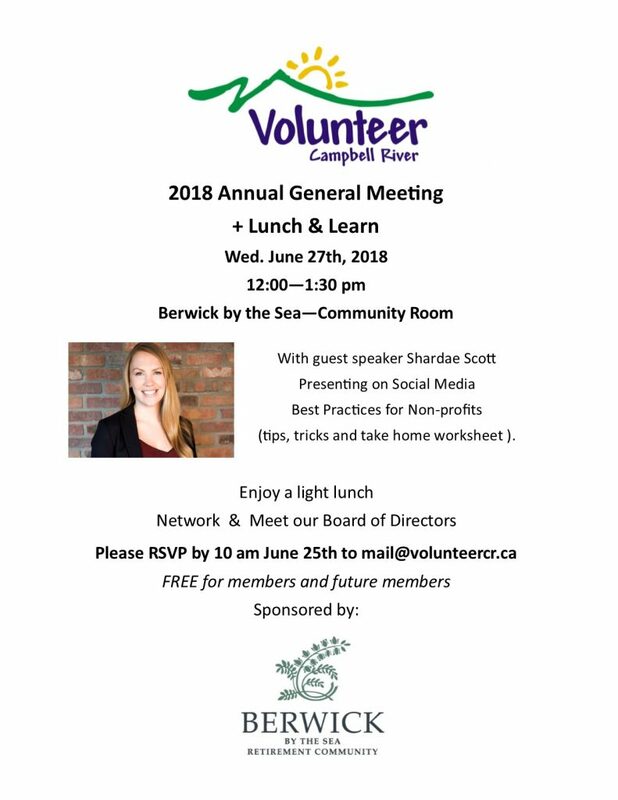 COMOX VALLEY, APRIL 7, 2019: April 7 through 13 is National Volunteer Week. Communities across Canada are celebrating the generosity of the hundreds of thousands of individuals who give the gift of time to countless organizations to build strong, vibrant and healthy communities. Here in the Comox Valley, we have an extra reason to celebrate with the announcement of the relaunch of a local volunteer support agency. Many people were dismayed at the news that Volunteer Comox Valley would be shutting down operations last year. Not wanting to see this resource completely disappear, Terri Perrin, who was the Community Engagement Manager at Habitat for Humanity Vancouver Island North at the time, was given permission to take over the administration of the Volunteer Centre’s Facebook page. 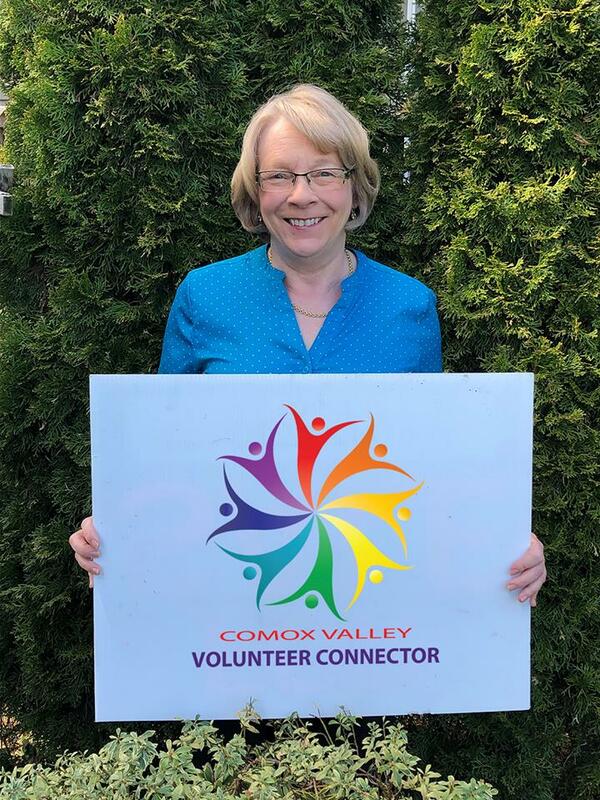 She renamed it the ‘Comox Valley Volunteer Connector and, with the help of fellow Comox Valley Women’s Business Network member and graphic designer, Linda Graceffo, they created a new logo and brand identity. Since then, Perrin has been diligently doing her part to celebrate the volunteer spirit by connecting the public with local nonprofits on social media. “I couldn’t envision our community without a resource for people who want to connect with causes that matter to them,” explains Perrin, who recently left Habitat and joined the team at LUSH Valley Food Action Society as their new Communications and Program Manager. For the near future, the CVVC will be operating as a ‘virtual volunteer centre’ with an online presence and meetings with individuals and nonprofits by appointment only. Eventually, the plan is to have a dedicated space to display rack cards and other volunteer recruitment materials from local nonprofits, but that will come with time and community support. Perrin intends to continue in her part-time role with LUSH Valley and will put in several hours each week to support the CVVC as a part-time communications contractor, rather than a volunteer, as she has been doing for the past 10 months. 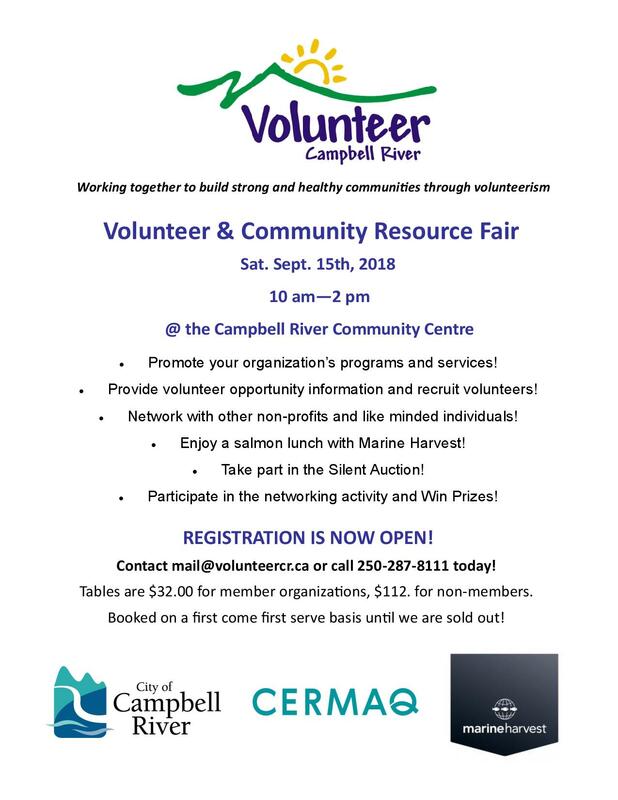 For more information email CVVolunteerConnector@gmail.com, call 250-207-8111 or find them on Facebook @ComoxValleyVolunteerConnector. Conference run yearly in the Fall. Volunteer managers, coordinators and anyone training, supporting or supervising volunteers will find this conference useful. To celebrate International Volunteer Managers’ Day, we have designed a conference that will explore some of the critical elements of volunteer management.